Structural engineering services for this 7-story, 450,000 sq. ft. above grade parking structure with two basement levels providing parking for 1,500 cars. 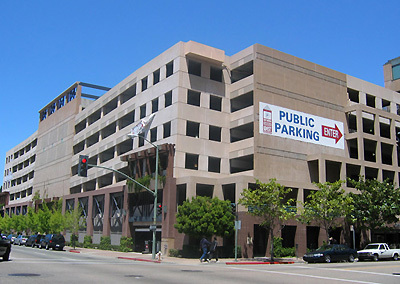 Cast-in-place reinforced concrete parking structure with post-tensioned slabs and concrete shear walls. OLMM received the Award for Structural Engineering from American Concrete Institute for this project.